One of the great joys of parish life is to share in a couple’s wedding day. We at Emmanuel Church want to assist you in making that special occasion spiritually meaningful. We believe in committed lifelong partnerships that express the love of God in a bond of mutual support and fidelity, for all couples. When a couple desires to be married, a priest works with them to prepare their hearts and to plan their ceremony. 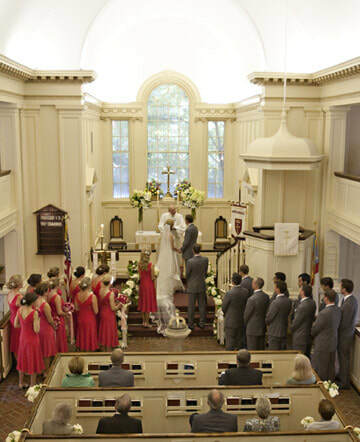 The Episcopal Church requires that one of the parties be a baptized Christian and that the wedding service be attested to by at least two witnesses. The service itself must be one that is authorized by the Episcopal Church and Emmanuel limits weddings to members of the parish and their children. First and foremost, please make an appointment with the clergy (540-456-6334). This first appointment will answer your questions about the myriad details involved in planning a wedding. Please keep in mind the clergy will not make arrangements with parents, so please call to set up your own meeting date and time. Please do not make any final arrangements, place deposits or have anything printed with a date for the wedding until you have met with the priest, and he or she has agreed to preside at the wedding and has placed the wedding date on the parish master calendar. All arrangements for the wedding rehearsal and liturgy are made in consultation with the parish clergy. No wedding dates will be placed on the parish calendar until the clergy have had a minimum of at least one meeting with the couple before agreeing to officiate at their wedding. 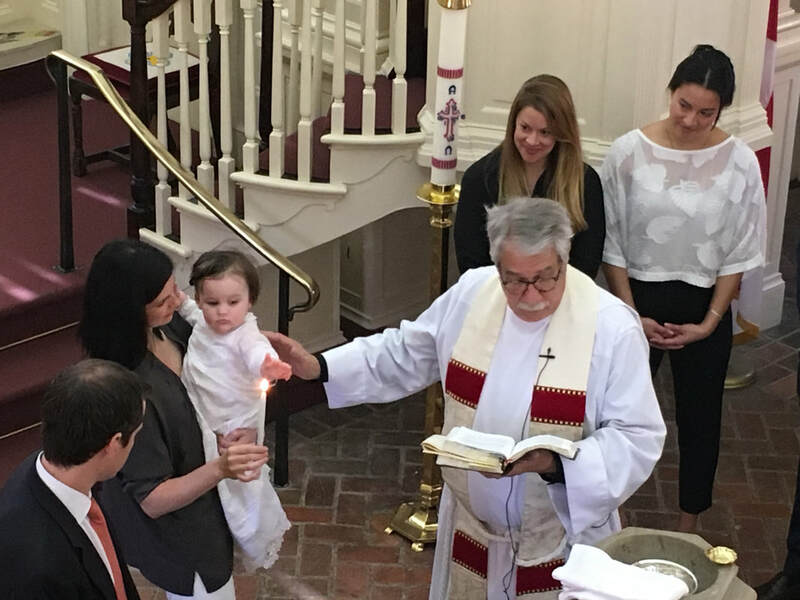 The Episcopal Church welcomes everyone, including infants and young children, into the household of God by Holy Baptism. Parents and godparents often make the promises contained in the Baptismal Covenant on behalf of children who are too young to speak for themselves. Confirmation evolved so that those baptized at an early age could make a mature profession of faith and a commitment to Christ when they were ready to do so. In the sacrament of Confirmation, we receive the laying on of hands by a bishop, linking us to the apostles in an unbroken chain. We receive strength from the Holy Spirit to live life according to our baptismal promises, which are reiterated in the confirmation liturgy. Confirmation Class is open to all high school age parishioners at Emmanuel Church. Traditionally, Confirmation Class has been offered every other year and in conjunction with the Bishop’s visit. The class is held throughout the school year (September through May). The curriculum educates students on the history and polity of the Episcopal Church, the principles of the Episcopal faith, and prepares students to become voting members of the church body at age sixteen. The course also provides a framework for each participant to examine their own faith journey. The course culminates with Confirmation into the Episcopal Church by the Bishop. All young adults interested in learning more are encouraged to attend. Please contact the Church office for more information. ​Your clergy are available to offer you and your family care throughout the death and grieving process. When someone in your family is dying, please let your clergy know. We can visit them, bring communion, and pray with your family. ​When a person dies “the death of a member of the Church should be reported as soon as possible to, and arrangements for the funeral should be made in consultation with, the Minister of the Congregation.” (Book of Common Prayer, p. 468). In the days following the death we are available to help plan funerals and interments. The parish clergy work closely with the family to create a service of worship that honors the departed and communicates the faith of the Church—that in Christ Jesus, not even death has the power to separate us from the love of God.